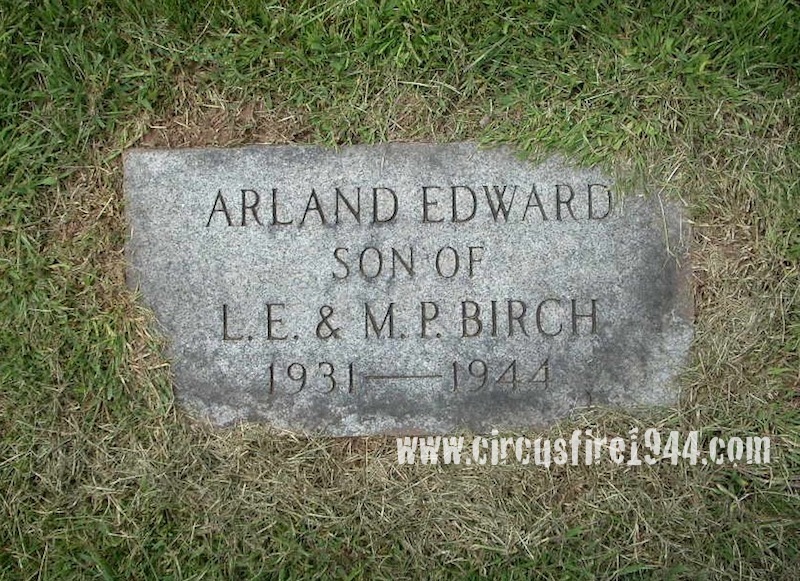 Arland Edward Birch of 132 Orange Street, Meriden, was born September 6, 1931 in Meriden, son of Marguerite R. (Palmer) and Lawrence E. Birch. 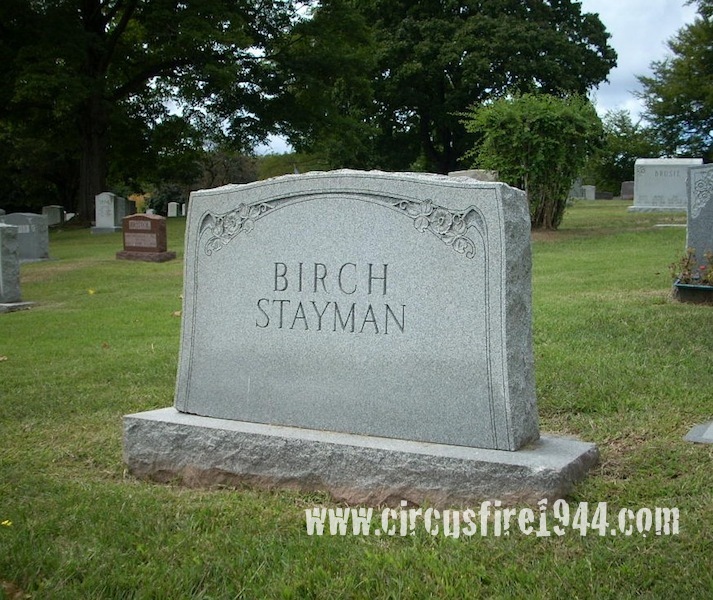 He was found dead at the circus grounds after the fire on July 6, and was buried at Walnut Grove Cemetery in Meriden after services at the Flatow Funeral Home. 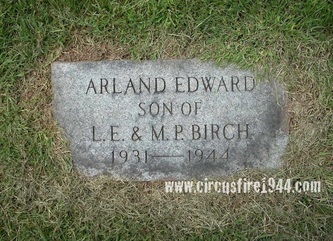 Arland attended the circus with his mother Marguerite and sister Shirley Ann, who were also victims of the fire. Arland is survived by his father, Lawrence, who works at the family business, Birch Laundry in Meriden. Body #1570 at the State Armory was identified on July 6 as Arland Birch by his father, Lawrence. Arland's estate was awarded $7,500 by the arbitration board. He had been earning excellent grades at the Samuel Huntington School in Meriden, and was ready to enter the seventh grade at Lincoln Junior High.